Photo credit: Christopher Stark / Designed by Nest Design Co.
Small rooms with cramped spaces can be a colossal challenge when trying to figure out how to integrate everything you need while, at the same time, not overlooking what you want (the little design touches that elevate your style). 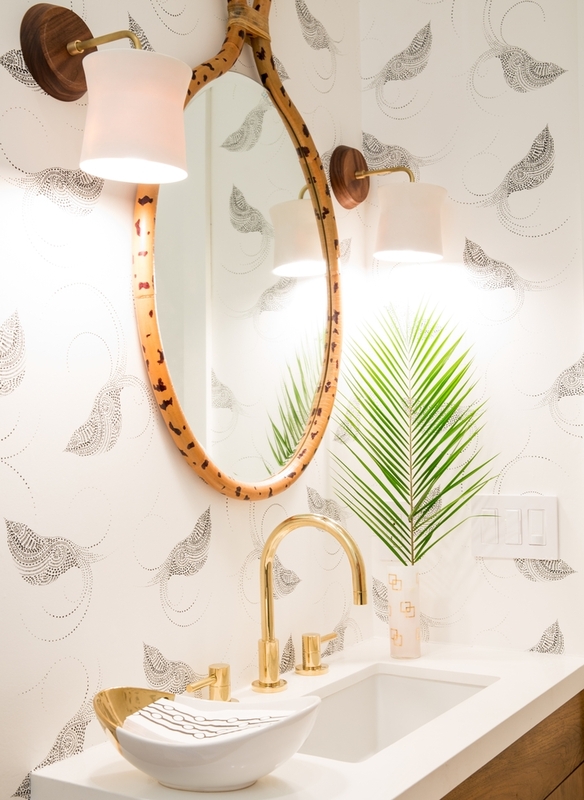 Not too long ago we helped remodel and design a bathroom for Angela Elias, Content Director for Popsugar Living. She and her husband were looking for a much-needed update for their garden apartment bathroom. With full creative license to virtually transform the space, we made a list of the design tricks we used to optimize space, storage and style. So, if you face a similar design challenge with your small space, consider these four resourceful strategies for getting the look you want. We firmly believe that, though a room may be small, it shouldn’t be overlooked for its potential to be a gorgeously stylish space on par with the rest of your home. Storage needs are especially critical in a small bathroom. With a pedestal sink or vanity cabinets on the smaller side, look to shelving to house your essentials and showcase decorative objects that add a designers’ touch. Coated canvas and woven baskets are indispensible for stowing linens and toiletries out of sight. Make sure your shelving is shallow enough so that it doesn’t overwhelm the small space or get in the way. We like individual wall-mounted slats for their light footprint and because they don’t block out any overhead or directional lighting. Don’t let limited wall space deter you from the many opportunities to add stylish touches. Think artist sketches, photography, even framed mirrors. Reflective materials have a way of visually expanding a space so, by all means, be liberal with them. Counter to what seems logical, bold, graphic wallpaper can also optically increase a small space. After nearly a decade of brushed chrome finishes, gold and brass tones are very much on trend, a trend we don’t see going anywhere any time soon. We like integrating warm metal tones into bathrooms, which are notorious for having a cold, clinical feel. Depending on other design elements and surfaces textures in the room, opt for hardware with a raw industrial feel or pieces that are altogether polished and refined. Sets are nice, but we are big enthusiasts of mixing styles and finishes, as long as they are different enough to make a statement. 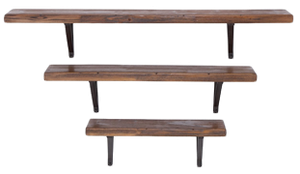 Swapping out your hardware is one of the easiest, most inexpensive ways to elevate your overall look. Nothing gives your home a feeling of aliveness like plants. They give a small space a freshness and a lived-in relaxed vibe. With so many adorable small containers to choose from, potted plants are transformed into miniature works of art. Place them on shelving, in a sunny window sill and even on your walls. A creative vertical garden can act as an accent wall and can turn your bathroom into a mini zen retreat. Bonus: most plants thrive especially well in humid bathrooms. 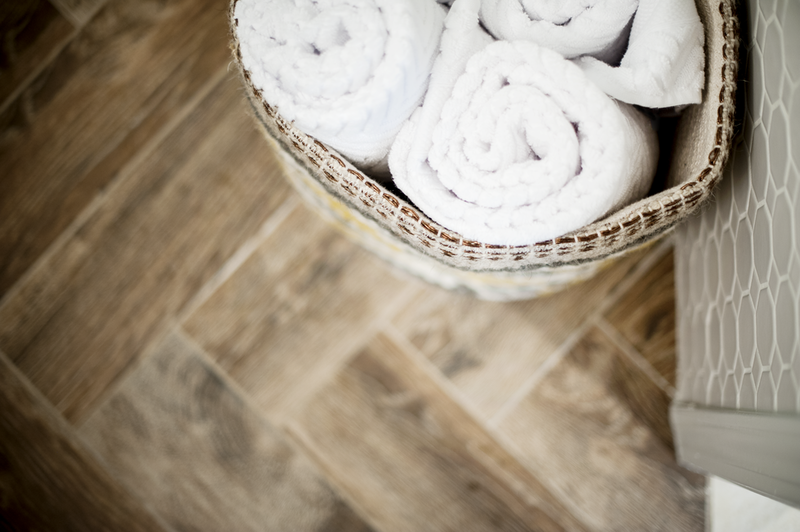 If you have a small bathroom in need of a fresh look, start working with a Decorist designer today. It’s as simple as answering a few questions and uploading photos of your room. Get started today — finally get the room you've always wanted!